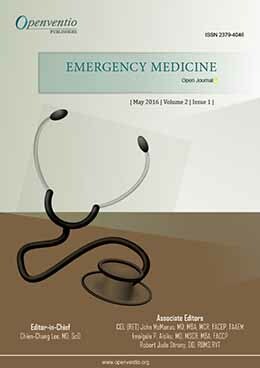 Therapeutic Hypothermia in Trauma Management: New Tricks for an Old Dog? High Fidelity Simulation Improves Provider Confidence During ACLS Training Even Among Experienced Staff: Are We Missing an Opportunity? Which Pain Is Treated At The Emergency Department? 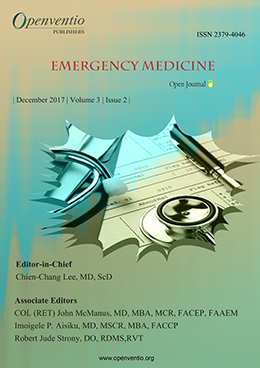 Emergency Medicine – Open Journal (EMOJ) deals with the study on latest methods of basic and clinical advancements, research, techniques and guidance. 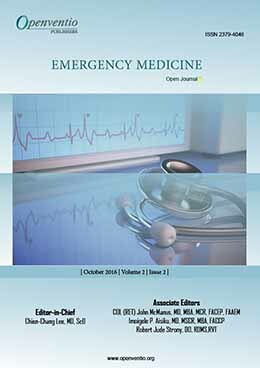 The mainstay issues cover noteworthy clinical cases, most up-to-date evidence based practical and research developments of Emergency Medicine in this developing world from urban to rural clinics and hospitals in civilize and calamity situations. 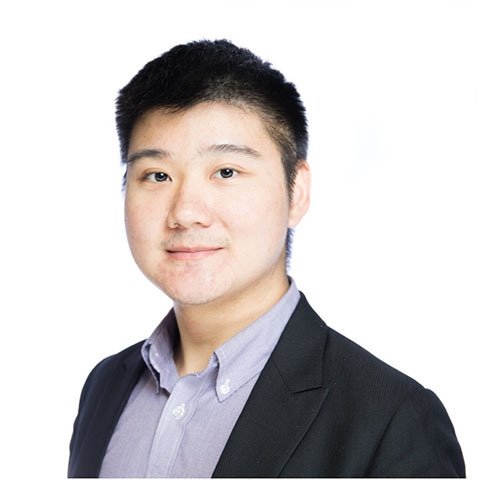 EMOJ helps in advancing the practice globally and also advance all in education, research and practice to reduce of suffering patients and in excellence internationally. 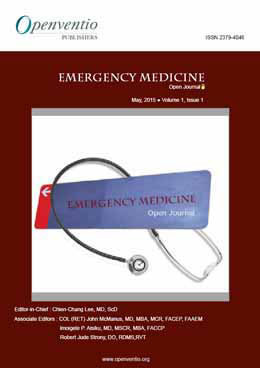 However, Openventio aims to widespread all the detailed matters related to Emergency Medicine through its Open Journal to all the scientific community for its welfare. 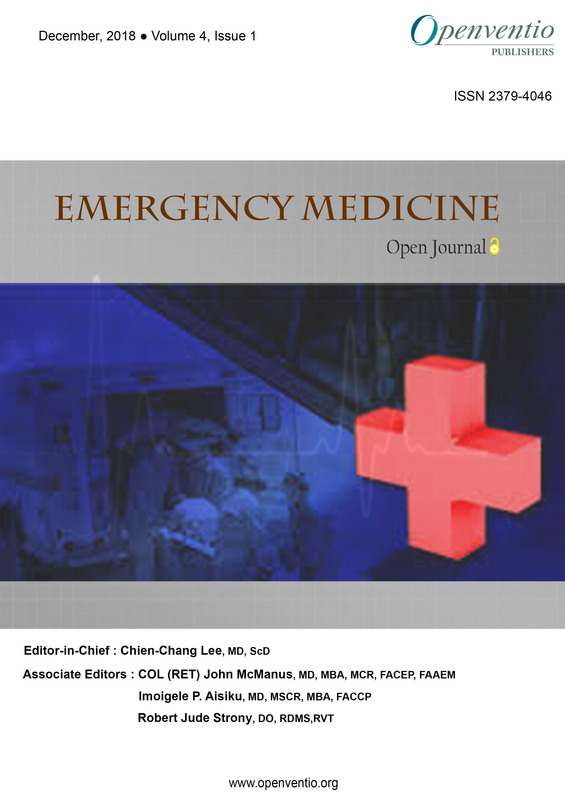 Emergency Medicine – Open Journal (EMOJ) is dedicated to the open dissemination and robust discussion in the areas of Emergency Medicine and its related fields. 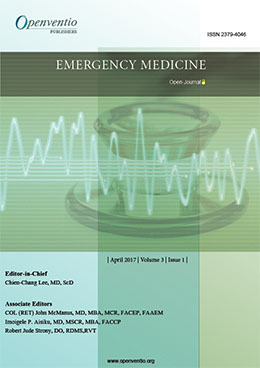 Submissions are accepted from the latest methods of Emergency Medicine such as technology advancements, lifesaving measures, diagnostic techniques and any guidance on accurate, quick and instant decisions to save lives. The audience of EMOJ includes Medical personnel, physicians, medical students pursuing career in Emergency Medicine. The Journal welcomes all types of articles such as original research,brief research report, review, case report, mini review, editorial, short communication, book review, opinion, commentary, letter to the Editor, conference proceedings, technical report, errata, illustrations etc. We are open to receive comments or any corrections from any potential scientists to improve the quality of our journal. We welcome any comments or feedback from any potential scientist to improve the quality of the journal.